You’ve ooohed and aahed at the cutest puppies. 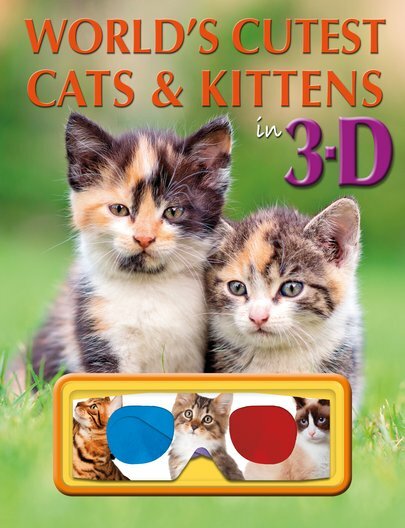 Now fall in love with the world’s snuggliest 3D kittens! So gorgeous they make babies stop crying. So lifelike they leave paw prints on your carpet! Each spread in this huggable book has a cuddly theme: kittens snuggling up, kittens chasing balls of wool, wrestling, playing – you get the picture. (Aww.) Plus – you’ll learn about cat breeds, kitten behaviour and what makes cats so darn cute. No question: it’s purr-fectly adorable! Cute kittens playing, exploring, sleeping and more! I think this cats are cute.